If your future includes a move to Oceano, check out Meathead Movers! Our professionally trained student-athlete movers, moving concierge, and princess packers are prepared to get you safely moved into your new Oceano home. 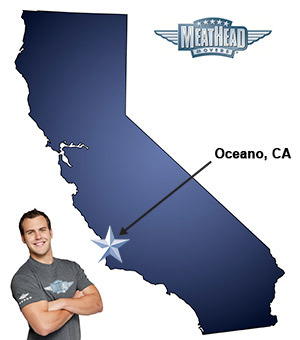 When you make your move to Oceano, be sure to contact Meathead Movers. No matter what type of moving service you need, our student-athlete movers are ready to handle all your moving needs. Welcome to Meathead Movers of Oceano! If you are moving to or from anywhere in Oceano, we are the moving company for you! Our professionally trained student-athlete movers and our moving concierge service are here to help you with every stage of your move in Oceano. Oceano is a beautiful coastal community on the Central California coastline. As part of the 5 cities metropolitan area, there is plenty to do and explore in the area. One of the most popular destinations in the city is the Oceano Dunes. You can ride all-terrain-vehicles, enjoy swimming, clamming, camping, and other outdoor activities at the dunes. If you are considering a move to this area, Meathead Movers is here to help. Our moving company If you are considering a move to Oceano, Meathead Movers is here to help. Our moving company specializes in local, long-distance, and commercial moves to, from, and within Oceano. We also provide reliable packing, storage, on-site relocations, and our distinctive moving concierge service, which connects you with local service providers. All our student-athlete movers are thoroughly screened and trained before their first move. With branches not just in Oceano, but all throughout California, we are your one-stop resource for all your moving needs, no matter where your California move takes you. In fact, you can see what your neighbors in Oceano have to say about us. With our 100% satisfaction guarantee, the only thing you have to lose is the stress that comes from moving! So contact us today for a free no-obligation moving quote and to learn how we can help you on your next move! Moving to Oceano? Here are some helpful resources. Very efficient and professional! I will recommend to anyone! Fast, thourough, and careful! Oh and fun! Everything from start to finish!! Very professional, well mannered, considerate. Would highly recommend Meathead Movers! Team was prompt, courteous, respectful, and careful (for the most part).